It’s Josipa’s birthday! Last year she requested the same cupcakes that I had made the month before for Jessica’s birthday, which were apparently a big hit, however, Josipa deserves a new recipe for her birthday because she’s the Cutest Croatian Cupie (C3) doll in the world! 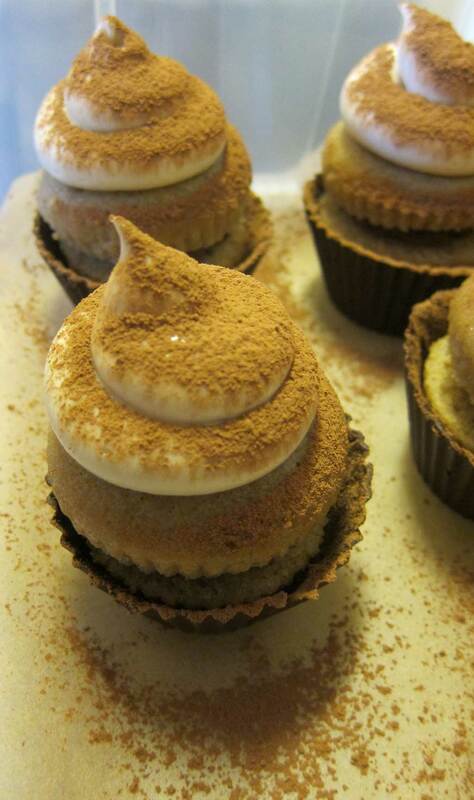 I was trying to decide what type of cupcake to make when I remembered a time forever ago (forever = approximately 6 years) that Josipa and I tried to make tiramisu. I say tried not because we didn’t succeed in creating the dessert, but more because it was quite possibly the worst tiramisu in the history of tiramisu. Josipa is an excellent cook, and I’m not the worst cook in the world, but somehow the Robinsipa combination failed. I’m pretty confident that our failure was attributed to us both adding the required amount of baking soda, therefore causing the entire dessert to taste like a baking soda cake. Also, we doubled the recipe, so we were stuck with a ridiculous amount of this undesirable treat. So, I did what everyone does when they’re stuck with too much of a bad thing. I brought it to work to pawn it off on my coworkers. If time travel is ever possible, I might use it to reverse that decision due to the relentless way my coworkers have teased me to this day. Basically, my takeaway from this (and I hope it’s also a lesson learned vicariously through me for others reading this) is that if you’re trying to sell people on veganism, don’t introduce them to vegan food by feeding them something gross. 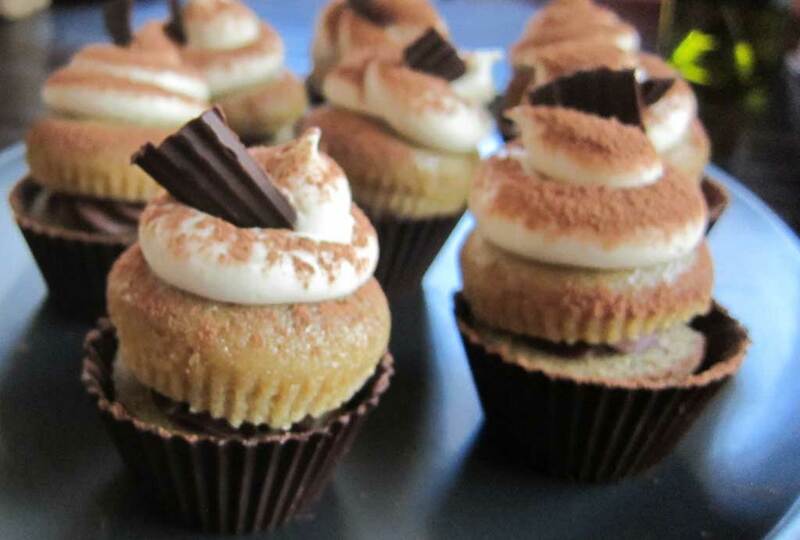 I had been forming an idea in my mind for a few days of how I wanted to make these cupcakes so I headed to Whole Foods (and I coincidentally ran into the birthday girl in the banana aisle) for ingredients, where I was inspired by looking at their bakery case and seeing a tiramisu that was served in a cup made out of chocolate. It totally reminded me of the scene in Willy Wonka where he sips the tea out of the daffodil and then bites the cup. The only decision I hadn’t yet finalized is what type of cup to serve it in since I would be layering it. 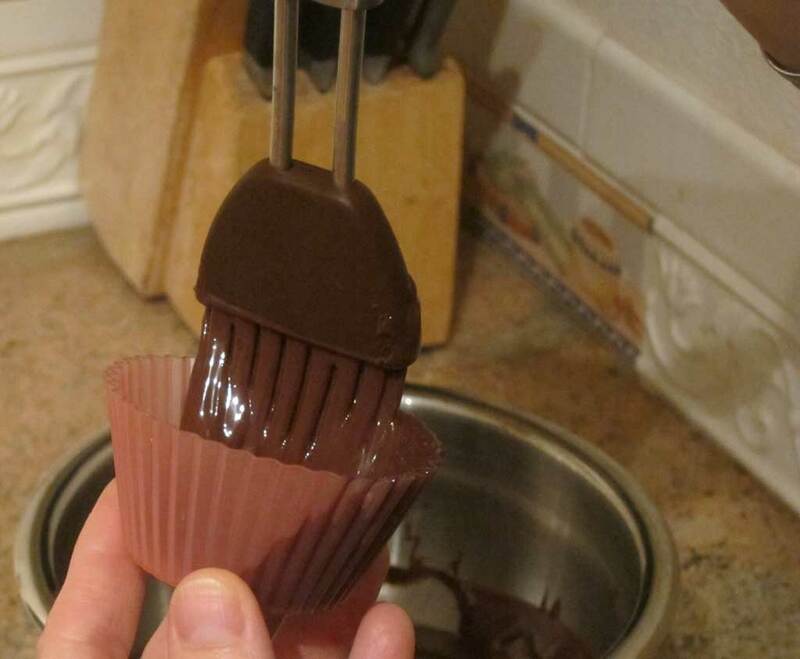 So, I decided to try to make chocolate cupcake wrappers out of melted vegan chocolate chips by using a silicone pastry brush to paint a thin layer of chocolate in the inside of my silicone cupcake wrappers (they were very excited to be used twice in one day after a month or two of neglect). I left them in the freezer overnight to form the perfect level of resistance to the abuse that the placement of the tiramisu layers was sure to cause. 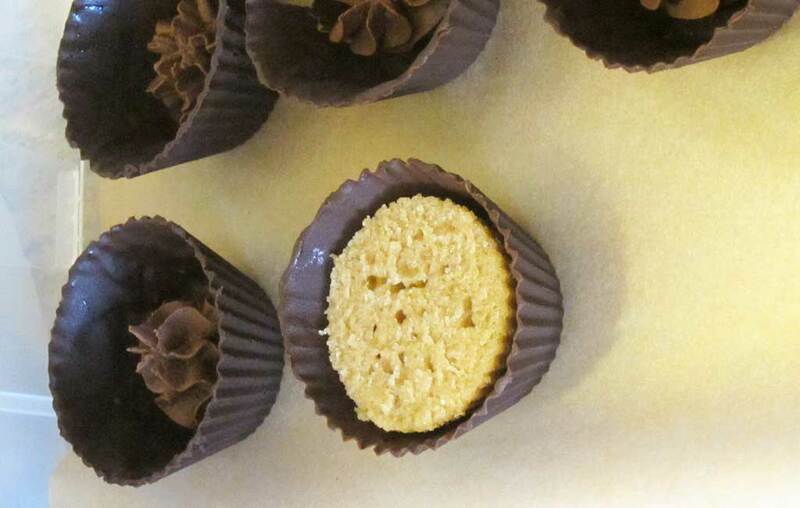 Here’s the hard part: taking them out of the silicone wrappers without damaging them. I had a 8⁄10 survival rate due to a learning curve. So, unless you have already participated in this activity, you should probably make more than you actually need since some will likely be casualties. 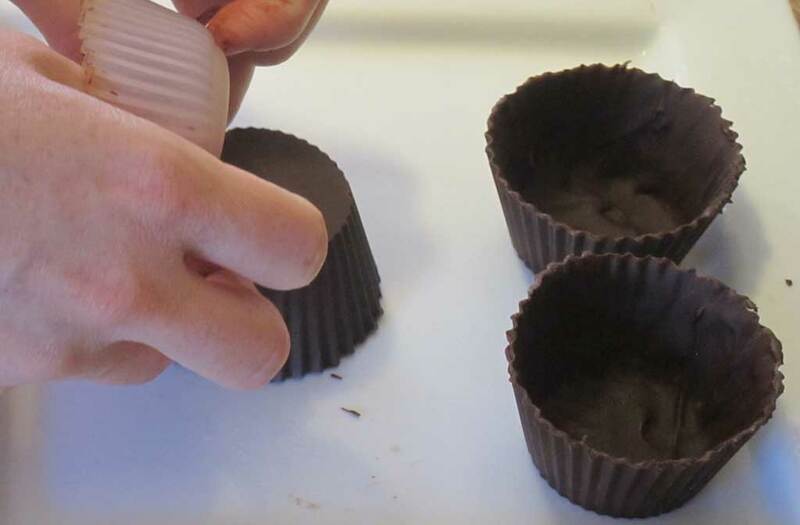 The secret to doing this, I found, is to take only one at a time from the freezer so the others don’t melt, loosen the wrappers from the chocolate all the way around the perimeter, and then turn the silicone wrapper inside out to get the chocolate cup to come out without breaking. 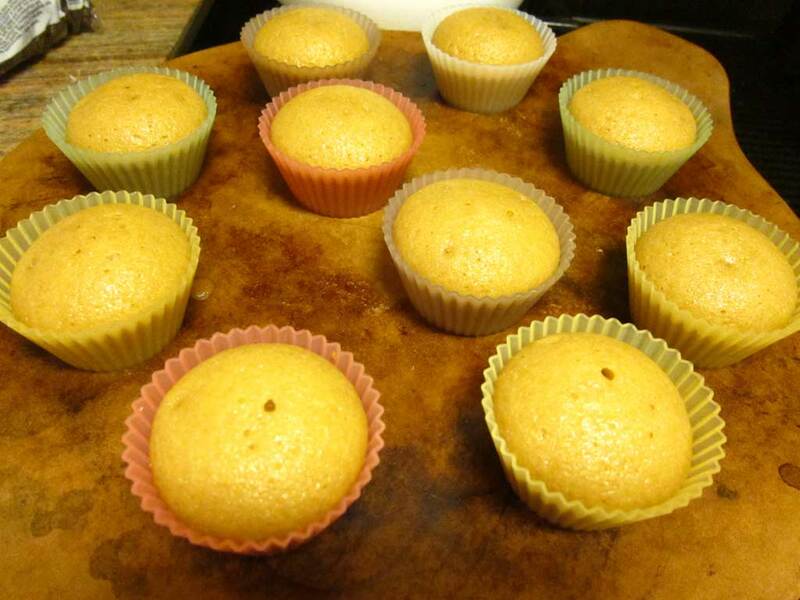 I made the cupcakes with a vanilla cupcake recipe, subbing coffee and creamer for the milk traditionally used. 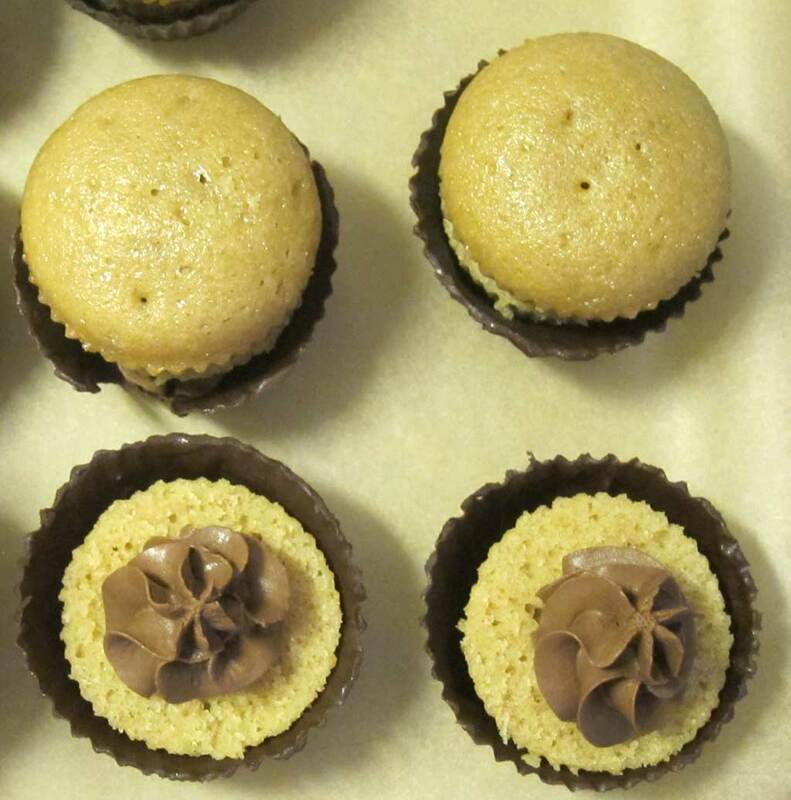 Once cooled, cutting the cupcakes in half horizontally created 2 coffee cupcake layers. 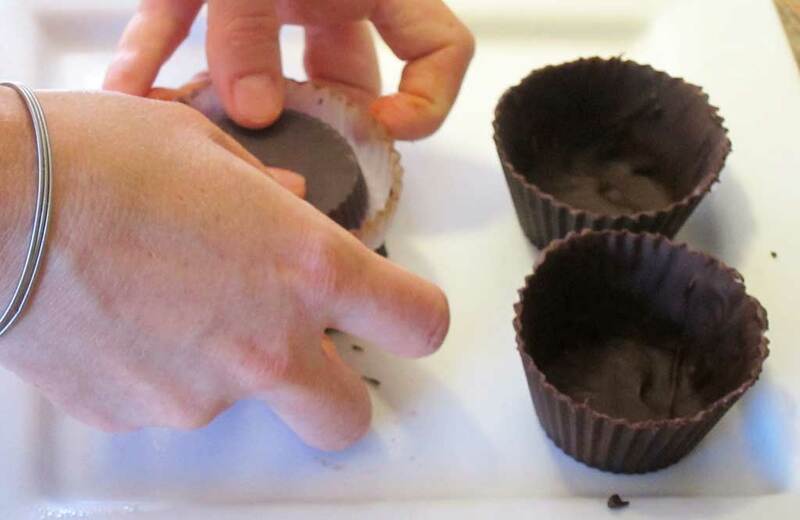 The first layer is a dollop of chocolate mousse. The second layer is cake. The third layer is chocolate mousse. The fourth layer is cake. 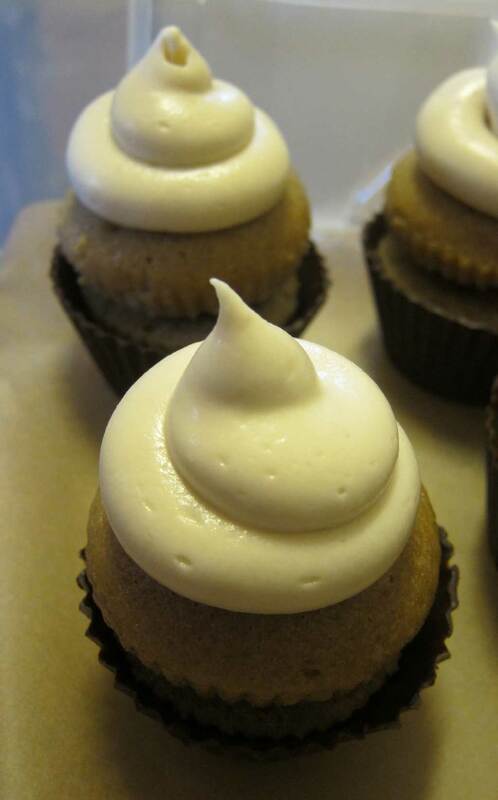 The last layer is cream cheese frosting. 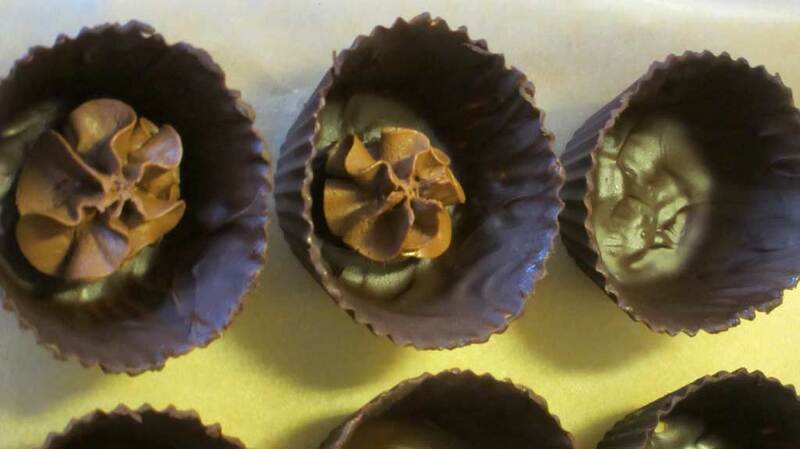 The garnish is cocoa powder. Here’s the birthday girl (a.k.a. 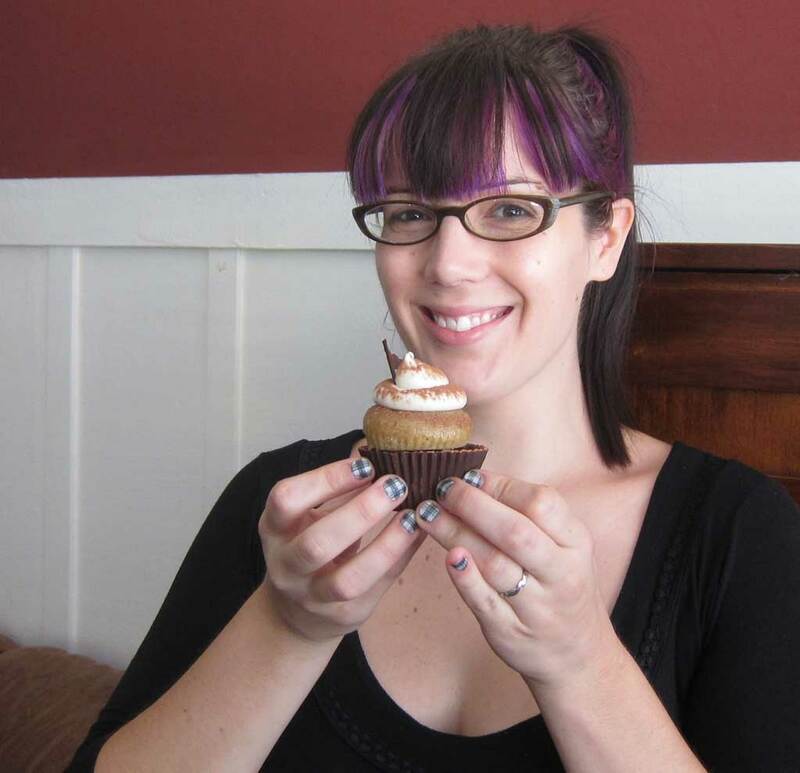 C3) with her cupcake.